Recently, I had a student ask, “Did the butcher tie that roast for you?” and was amazed that I “tied it like a butcher”. 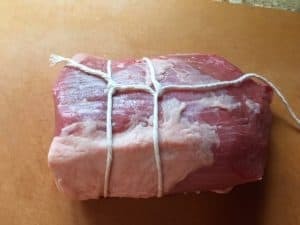 I grew up knowing how to tie a roast-my Mom did it-I assumed everyone knew how to do it. 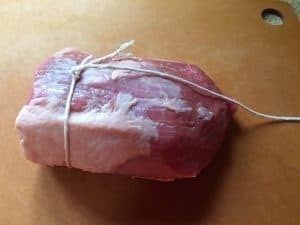 So, for those of you who want to surprise and amaze your guests, here’s how (and why) you may want to string up your next piece of meat. When cooked, a piece of meat will expand while heat brings out its juices. Tying it up keeps it from “spreading out,” losing that nice round shape you paid for. Spreading will only affect its appearance, not its flavor — and tying it up keeps it nice and tight so the juices are more prone to staying in instead of running out. The more uniform a product is going into the oven, the more evenly it will cook. 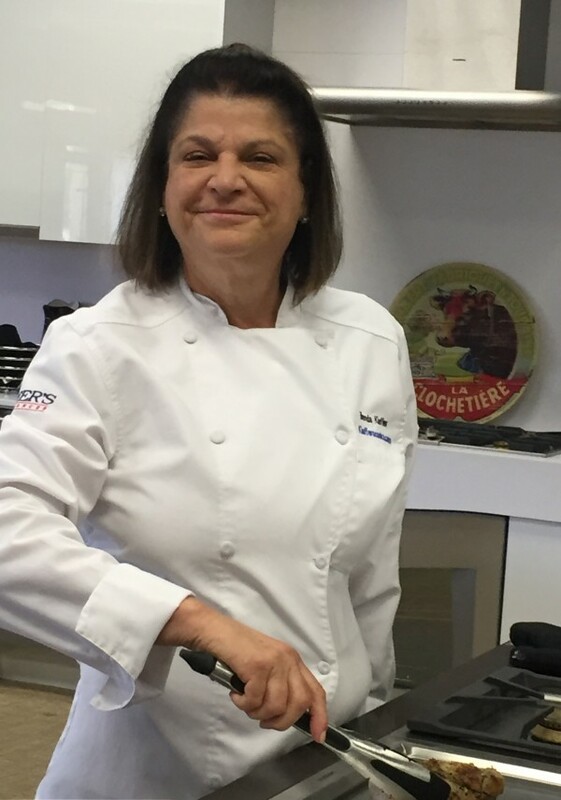 When the roast doesn’t “spread out”, the center is equally protected from the heat, resulting in a product that will be more evenly colored no matter where you start slicing. Nice round(ish) slices, not raggedy ones. Tying the roast will keep the stuffing INSIDE the rolled mean, not leaking onto the pan. Cut a piece of string about 4X the length of the roast. 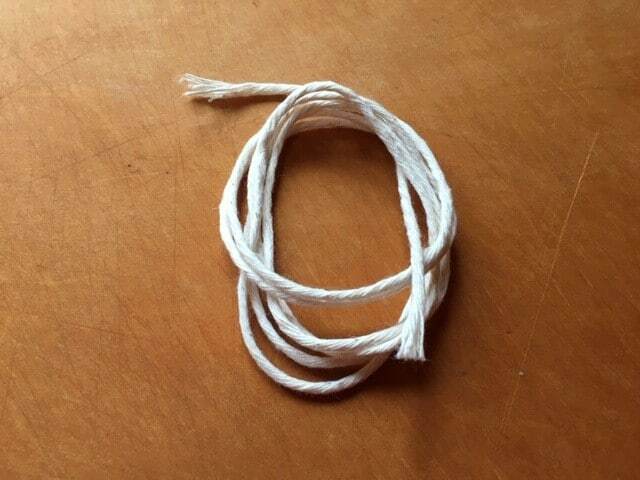 Starting at the thickest end, wrap the end of the string around once and knot it. Put your non-dominant index finder about ½” below the knotted string. 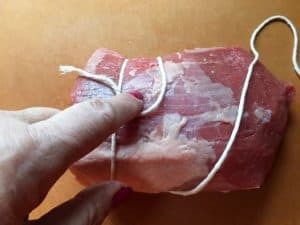 Bring the long loose piece to your index finger that is on the meat. Lift your index finger and hold the string at that point. Now, wrap the string around the meat again, bringing it to your finger holding the string on top. Bring the string under the loop you are holding. You will have your first slip knot. Repeat every ½” or so and tie off the last one. 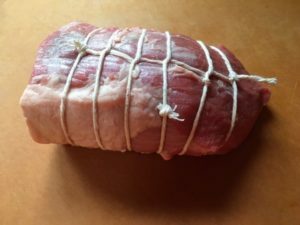 You want to tie the roast securely, but not strangle it. The tying is mean to make the meat sit up and take notice, but not give make it look like a chubby Bubbie’s wrist. Now trim any excess string and roast.